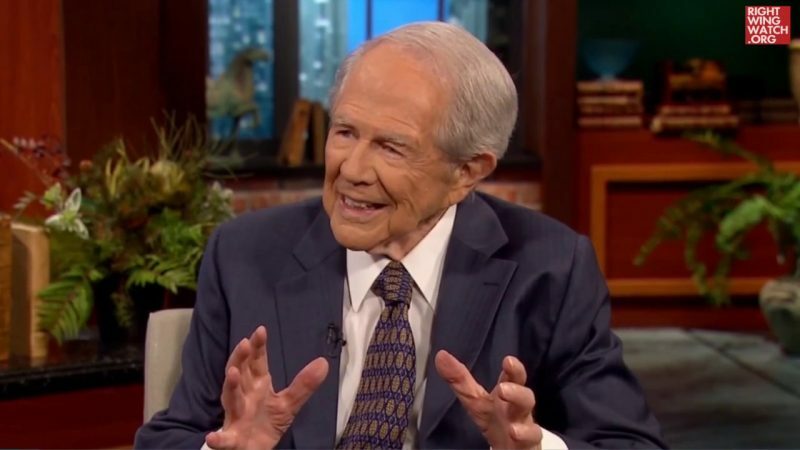 After being widely criticized and mocked for dismissing concerns over the murder to Washington Post journalist Jamal Khashoggi, televangelist Pat Robertson has now changed his tune. 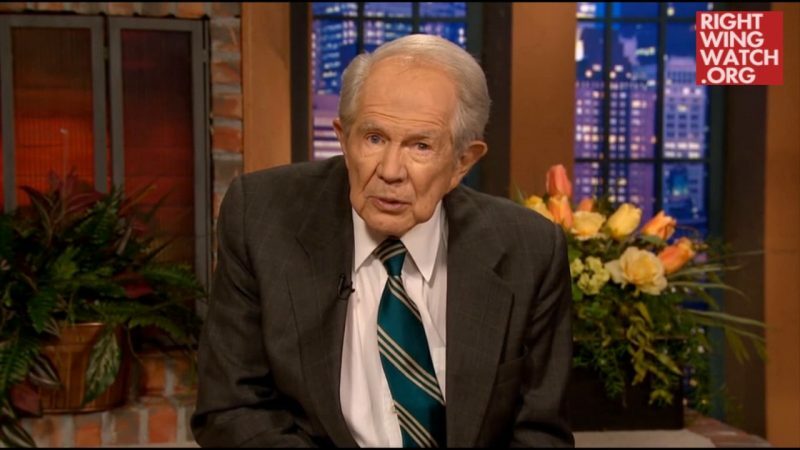 Last week, Robertson repeatedly insisted that people should not get too worked up over Saudi Arabia’s murder of a critical journalist because the nation is an important U.S. ally with whom we have a lucrative arms deal. 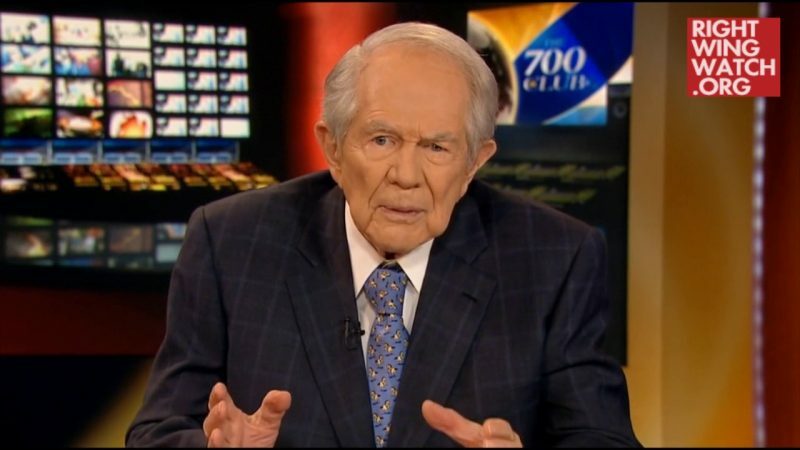 On “The 700 Club” today, Robertson had a radically different response to events, blasting the Saudis for engaging in premeditated murder and declaring that the U.S. cannot simply look the other way, regardless of what sort of arms deals or alliances exist between the two nations. 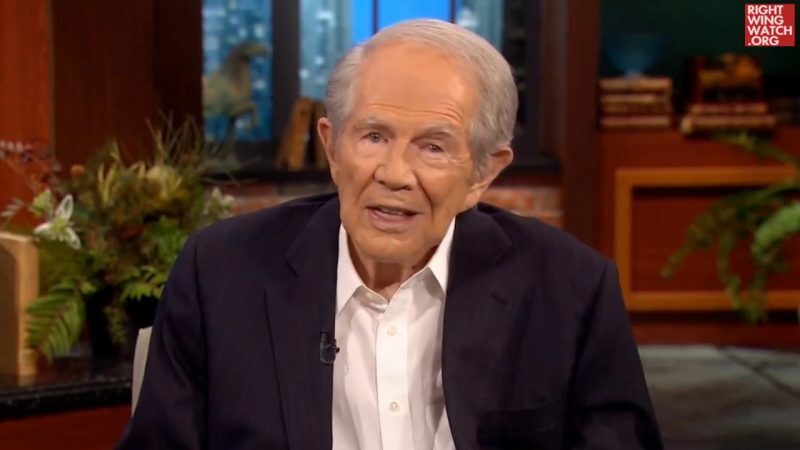 Robertson then praised and paraphrased a recent New York Times column by Maureen Dowd as he accused the Saudi government of having “bribed their way into the hearts of Americans” and railed against the Saudi role in 9/11 and past support for Osama bin Laden. “Oil or not, or arms deal or otherwise, we cannot be aligned with a group of people who have persecuted women and have kangaroo courts and have this religious police that is just incredibly bad,” Robertson said, as he called for Saudi crown prince Mohammad bin Salman to be tried for Khashoggi’s murder.